They say that to truly achieve success you should focus on doing what you know best. That’s the principle that led Joe Murphy to open Specialist AV in 2001. His plan was a simple one: Use his deep knowledge and experience of the video industry, ensure he surrounds himself with video experts, and always have the very best and latest cutting-edge hardware and software; then use all this to become Ireland’s leading video capture, conversion and mastering company. Joe’s education in video began in his teens, leaving school to work in PVL (Professional Video Limited). His tenure there was a long one that ran 15 years and only ended with the closure of the company in 1999. Joe started in the AV Equipment Hire department and as his knowledge grew he moved into the Video Capture & Conversion department. Over time he worked on larger and more complex projects. PVL provided varied video services and in his time at PVL Joe worked in every department and his knowledge grew. Eventually he was promoted to General Manager, where we honed his business, planning and logistics skills. So when PVL was closed, Joe was determined to take everything he had learned and start a business that would work with all the major Irish companies that worked with or had video needs, and so Specialist AV was born. Joe owns and manages the business and works on key projects. Keith joined Joe from PVL after its closure. 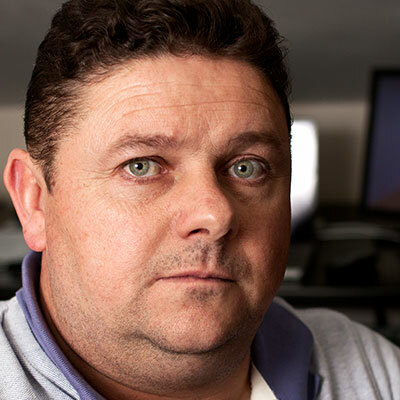 Keith manages all aspects of operations and client projects. To deliver any project in an average 24 hour window and to meet, wherever possible, urgent requirements where deadlines are significantly shorter. To meet and exceed our clients’ video needs by delivering unparalleled quality through the use of the very best technology and industry best practices. To NEVER let a client down, to ALWAYS meet deadlines and to ALWAYS have a ‘Can-Do’ attitude that allows us to meet our clients’ needs in any situation. Call Us Or Send Us A Message Today.